Hello Paul. Thank you for agreeing to talk to us. Your most recent book, London Falling, has been very successful with readers and critics alike. Can you tell us a bit about it? 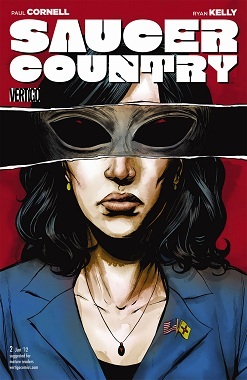 It’s a modern urban fantasy about a team of undercover Metropolitan Police officers who accidentally gain the ability to see the magic and monsters of London, and decide to use actual police tactics against them. You have written for both Marvel and DC comics. Is there much difference between the two comic book giants? 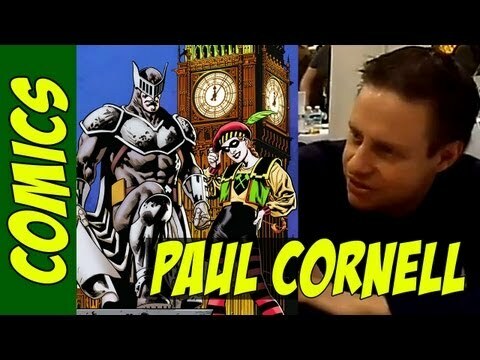 Do you approach the writing of DC in a more gritty manner than that of Marvel? No, they’re pretty much the same in terms of content. The two organisations have different quirks and shapes to them, different cultures you might say, but one writes the same way for both. Do you approach the writing of television in a different way to the way you might write a comic or a book say? Well, yes, the different media require different approaches. It’s about how much space and budget you’ve got. You have to think of budget for TV, space to do things for comics, and of course in novels neither of those things matters. Which form of medium do you prefer to write for? TV, Audio, Book or Comics? Where do you get your ideas from? Is there any technique that your use? Tesco. The Value range has given me some of my best ideas, actually, but with Finest ideas you really get quality of idea ingredient. Some say shop locally, but I find the ideas you get in the corner shop aren’t always the freshest. What advice would you give to young aspiring writers who want to start out? I have a sentence I always use: ‘It’s your job to seek out harsh criticism of your work and change as a result’. That’s so hard to do. 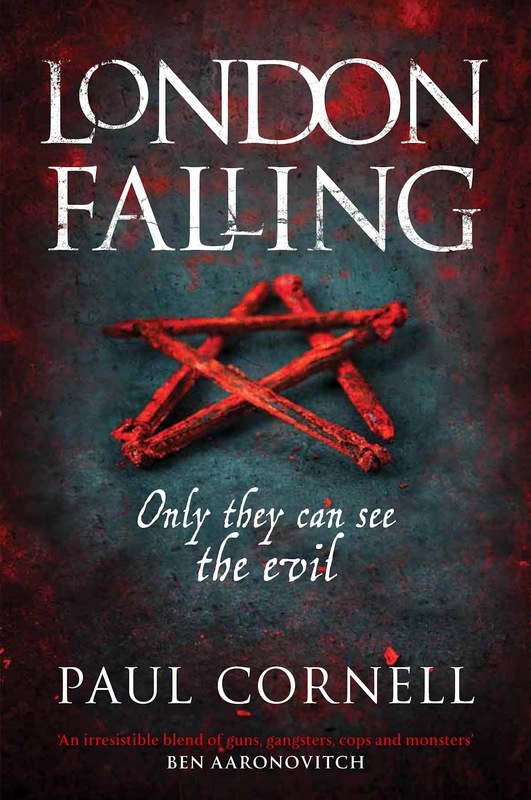 Will there be a sequel to London Falling? It is an excellent book. There will, and thank you. I’m just finishing it now, and it’ll be out in December. You have written several non fiction books which tie in with pre existing series. What do you enjoy about writing factual books? I’m really not as fond of it as writing fiction. I think some of what we did was quite good, though. It’s still about doing research and using it wisely. No. 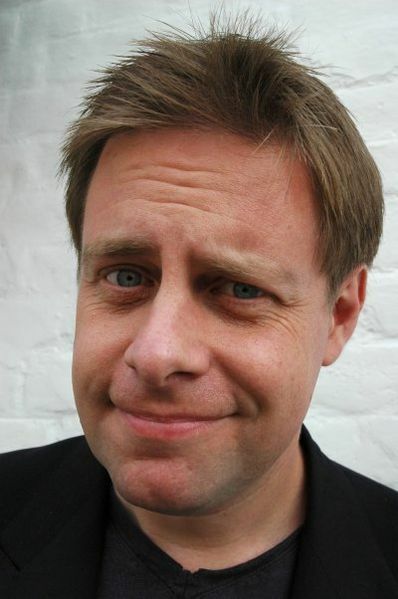 When I was in my twenties I tried to be a scientist, but dropped out of an astrophysics degree at UCL. Writing was the only thing I had to fall back on to try to make a living. What future projects have you got lined up? There’ll be a new Wild Cards story this year at Tor.com, a new Hamilton story in an anthology, the LF sequel, Wolverine for Marvel, and lots I can’t tell you about yet. Thanks for talking to us Paul, it has been great. ← Doctor Who Edition of Pointless? 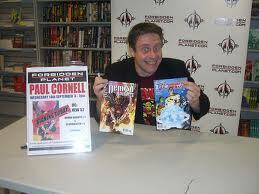 Here is one of Will’s interviews with writer, Paul Cornell who interestingly enough gets lots of good ideas from Tesco! To find out more, read on. Thanks for the comment Ross!